710 again! Should I retake? Hoping to get some advice on whether I should retake the GMAT after my recent attempt. I got 710 (47Q, 41V). Back in 2016, I got 710 as well (45Q, 42V). From my mocks, I think I can achieve 48Q, 42V but any higher than that is probably luck. For background, my current target schools are Wharton, Harvard, LBS and Columbia. I would really appreciate any insights on whether I should retake the GMAT given my target schools and profile! You've got a very strong background and one that is going to be unique and desirable for a lot of schools. That being said, I do think 730-740 as opposed to 710 makes your profile VERY competitive at the schools you have listed (on paper at least). So yes, give the GMAT one more attempt. I still think you can be a solid applicant with a 710 and the right angle but a 730 puts you right at the median for your target schools. Are you looking to transition to IB in the states or pursue a different path? Feel free to reach out at scott@personalmbacoach.com to discuss a plan of action for the GMAT or anything profile related! 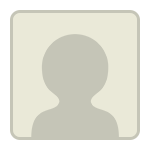 Thank you for sharing your profile. You are targetting an impressive list of schools, which are, of course, highly competitive. If you are targetting a career in finance, then I do recommend you retake the GMAT and increase your overall score as well as your Q and V. I do recommend you target round 1, which means you should look at retaking the GMAT relatively soon as R1 deadlines will come around quickly. Being you "work too much," you might want to also put an early plan of action in place to ensure that you give the MBA applications the time and dedication they require (it may take you over 250 hours to prepare materials). Happy to speak about your application and your story. If interested, please reach out. While you have a solid background, a GMAT re-take will not do any harm. The schools you are targetting have a GMAT average that is 730+; considering the same, if you are able to take your score up by even 30 points, you will stand a good chance. You have heard this advice in the posts above, but I agree with it. In a mad competitive world, its better to control what you can (GMAT, quality of essays/application), because the rest is anyways not in your hand. 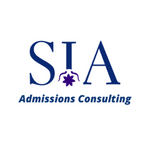 You have done the right thing by reaching out to some admissions consultants here on GMAT Club. 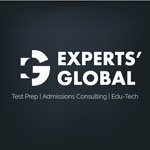 If you do decide to retake the GMAT, feel free to reach out, and I’d be happy to provide some further advice.